How Do I Deal with Mold on Outside Walls? Outside walls are most prone to mold. If left, it can peel paint and, at worst, destroy a building’s structure. These five steps are the best way to get rid of mold on walls outside. Porters Cleaning>>Blog>>How Do I Deal with Mold on Outside Walls? Outside walls are particularly prone to mold. They suffer the most from damp and humidity. Mold is unsightly, and the look of it is not deceptive – it will eat away your paintwork and the structure of your wall, and the spores it releases can be hazardous to health. 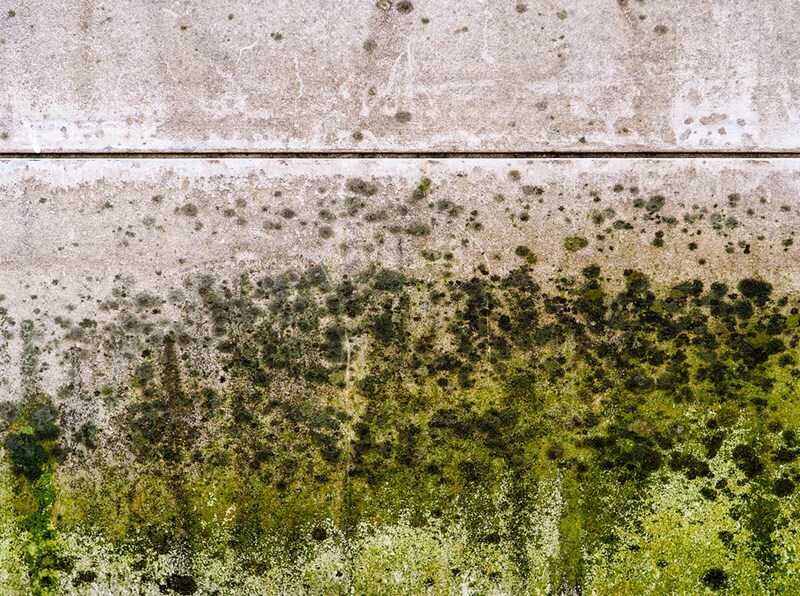 If you have mold on your outside walls, you’ll want to get rid of it as soon as possible. These five mold removal steps will help you do just that. Use a pressure washer to fan spray the wall. Use a smooth right-to-left and up-and-down action to clean the entire wall, and not only where the mold is visible. This will remove most of the spores from cracks and crevices in the wall. Time to mix a mold-killing solution. Pour in a half cup of bleach and a quarter cup of powdered launder detergent into a gallon of warm water. Stir well to mix thoroughly, before adding a half cup of trisodium phosphate (which you can buy at most hardware stores). Sponge the wall with the solution you’ve made. Leave it for between 15 and 20 minutes to start working its magic. Now it’s time to scrub the wall clean, using the solution you made earlier, to remove staining caused by the mold growth. Finally, rinse the wall using the pressure washer as in step 1 above. Then allow the wall to dry thoroughly. Also, cover electrical outlets to prevent them getting wet, and close doors and windows. If you are cleaning a wall near to plants, you should cover these, too, to prevent them from being sprayed with the cleaning solution. Cleaning exterior walls and removing mold from them is very different to removing mold from interior walls. The technique is different, and the issues you’ll face are different. Also, it is almost impossible to prevent mold from returning to exterior walls. You can’t stop the rain, and you can’t prevent humidity outside. Over time, the mold will return to outside walls, so you’ll need to repeat the above process regularly. The best results are obtained by repeating early, rather than waiting until you whole wall is green. The longer you leave mold on walls, the more destructive it becomes. If you have a large mold infestation in NJ, or you’re unsure of the type of mold and how best to kill it, contact Porter’s Cleaning.